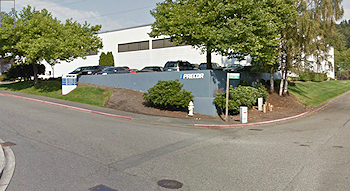 Precor is a prominent global leader in premium home and commercial-grade fitness equipment manufacturing and sales. The company has a strong history of innovation, quality and exceptional customer service, which has made Precor the brand of choice for health clubs, hotels, spas, universities and high-end individual consumers worldwide. A 5-year agreement was facilitated between Hilton Worldwide and Precor Incorporated, making Precor the exclusive provider of fitness equipment to all brands in the Hilton Worldwide portfolio. Precor’s Global Hospitality Sales division was established to organize sales and operations in over 60 countries. A network of 34 commercial dealers was built, which generated 30% of total corporate sales. Market research and lead generation services were provided to Precor, developing qualified leads on opportunities for product sales in global targeted markets, including US, Canada, Asia-Pacific, Europe, Middle East-Africa, Latin America and the Caribbean Islands. Criteria were developed to analyze and select high-quality leads, resulting in the delivery of timely and actionable information to sales teams worldwide, generating over $5 million in annual sales. Sales activity tracking was transitioned from spreadsheets into the SalesForce system, enabling more sophisticated lead tracking and sales team performance management capabilities.